April 16th is Easter Sunday, for most that may simply mean chocolate eggs! For others it may have a more symbolic and religious meaning, the celebration of life and the resurrection of Christ – Resurrection Sunday. Eggs are a symbol of new life which is why giving a chocolate egg has become the social norm on Easter Sunday. Before you sit and tuck into an abundance of chocolate how about considering a resurrection for your home? That’s something everyone would celebrate about! As it’s Easter it would only be right to think colourful, it also marks the beginning of spring so fresh, clean and bright is the way to go. You don’t need to use bold saturated colours, pale pastels are a perfect touch of vibrancy without running the risk of becoming too glaring. A fresh lick of paint to your rooms breathes instant new life into it, just be sure not to let anything else that now looks unloved ruin the resurrected space. Leaving a tatty light fitting or shade is notorious for this, you’ll be sure to find something you love here at The Lighting Company and with a great selection of pastel coloured fittings finding a match will be no trouble. 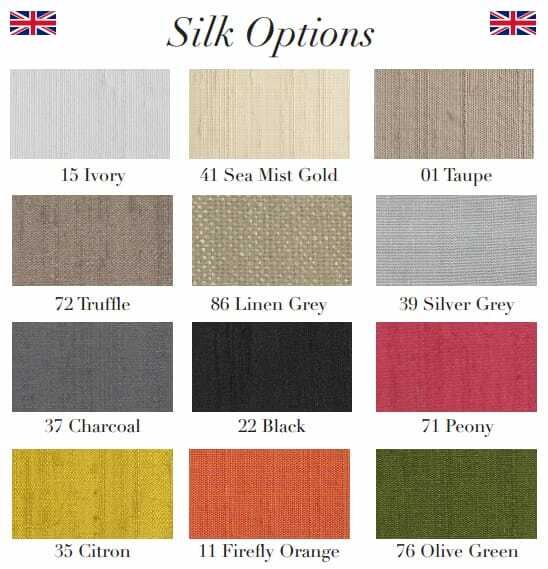 You can also choose from a range of silks for many of our bespoke fittings, there are also a variety of paint options and upon request we may be able to use a colour of your choice. 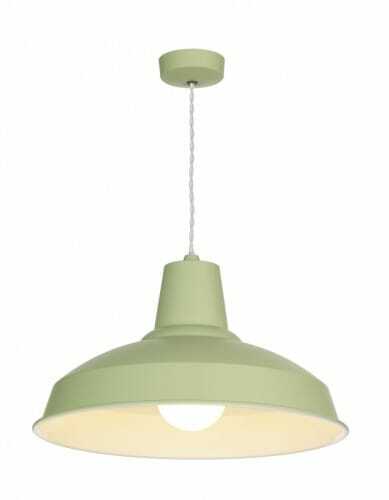 Our Reclamation pendant is one of many we can have coloured to your spec, find something fitting and adorn your room with crisp light. Pastel colours are a great way of bringing calm, just the thing for a living space. As we’re looking for a fresh feel and spring is well and truly welcomed in don’t hesitate to being some outdoors in! 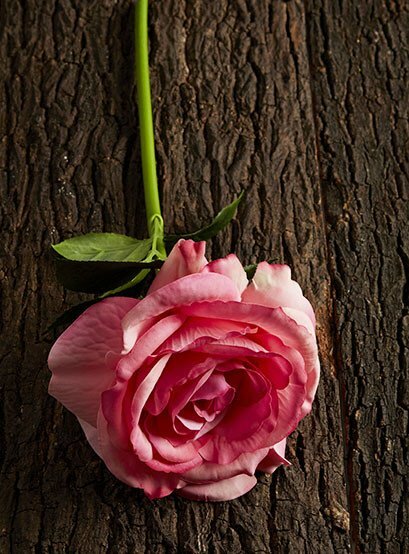 Decorate your interior with a few flowers here and there, if you don’t want the hassle of maintaining them or you have an unfortunate hay fever sufferer in your household – worry not! Faux flowers and plants are available right here from designer Abigail Ahern. Realistic in both appearance and to the touch you’d struggle to tell them apart from the real thing without close inspection. The outdoors is all about foliage and greenery, and it just so happens that the Pantone colour of the year for 2017 is, you guessed it, Greenery! Adding greens into your home will have you right on the mark with not only your Easter makeover but for the year ahead too. Giving you that closer sense of connection with nature there’s never a better time to implement Greenery than when natures greens revive! Using the faux flowers from our range of Abigail Ahern is a great way of introducing a touch of green, alternatively you could also consider using our range of LED smart lighting to add subtle hues of your choice to your home. 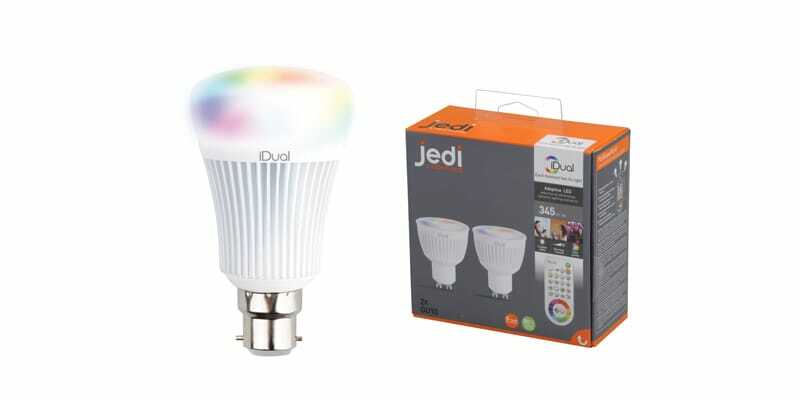 Controllable by remote control, standard switch or some even by your smart devices there’s an accessible range of smart lighting for everyone. Add a splash of colour to your home this Easter! Be sure to de-clutter your home, anything that’s been hanging around that you don’t love shouldn’t be taking up space that could instead be making the room feel bigger and fresher. 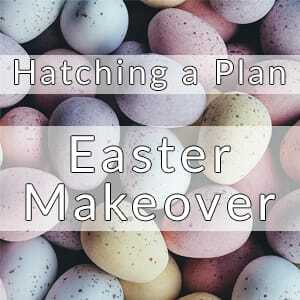 So whilst your chucking out the empty Easter egg boxes consider including the bits and pieces that you could quite happily live without. If you’re looking for a refresh in furniture or you’ve overdone the clear out and need a few accessories to fill the void then why not take a look at wicker? A wicker fruit bowl for a small touch or wicker chairs for that bigger impact, wicker is set to be a sought after trend in 2017 and with a nod to that bird nest structure it’s a perfect addition for your Easter design! One thing you should always make sure you have space for is a lamp. When the sun goes down and you retreat to the lounge or bedroom there’s nothing that makes the room more comforting and relaxing than a lamp. 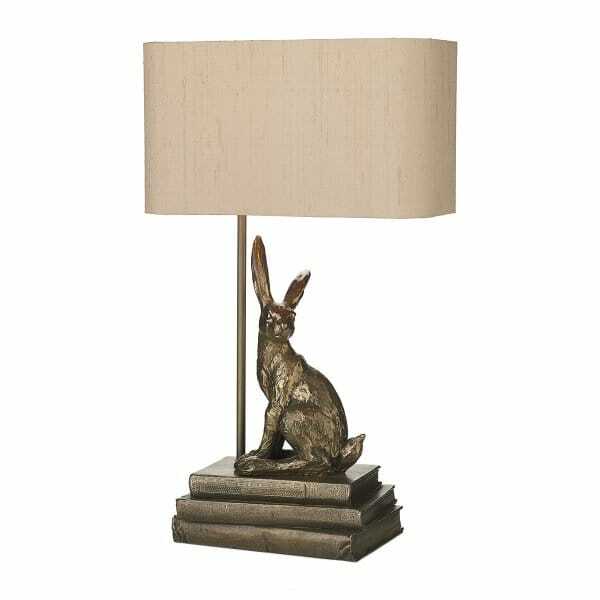 Thinking rustic to match your Easter theme what could be better than the sculptural bronze Hopper table lamp? Complete with a silk shade which you can pick from the selection depicted earlier in this blog this perfect home addition will be a delight all year round. Isn’t it just delightful to have your home feeling resurrected and ready for the remainder of the year. Happy Easter!